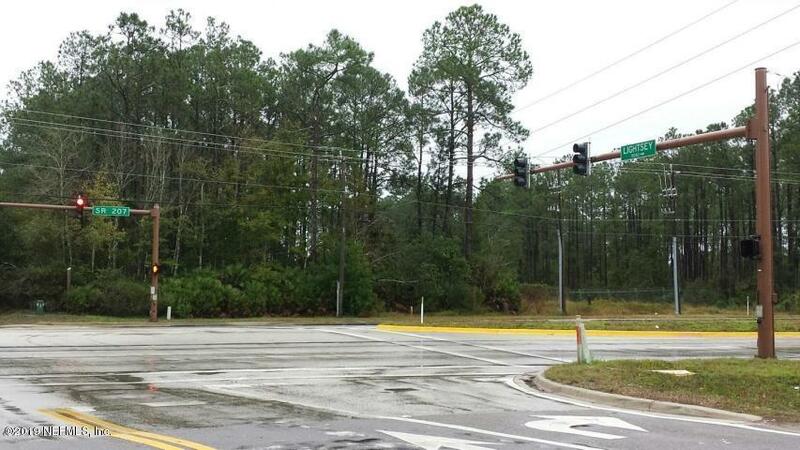 2.9 acre Commercial approved parcel at the intersection of SR207 and Lightsey Road (with a light at intersection and frontage on both); strategically located 2+/- miles east of I-95 and 1+/- mile west of the intersection of SR 312 and SR 207. Utilities available at SR 207 intersection or possible tie into to the 256 unit multi-family going up adjacent to the property. Excellent high traffic location at SR 207 in a growing commercial area with more rooftops going in rapidly. CG Zoning allows for a wide variety of uses on this parcel not involving alcohol;, except Restaurant. Current approval includes 25,000 sf building space.